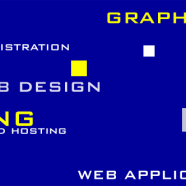 WMS is your one stop shop for all your web services needs. For over a decade we have provided Domain Registration, Hosting, Website Development, Web Application, Graphic Design, SEO, and Networking services to our clients. We maintain a close relationship with our clients to provide the best customer service.